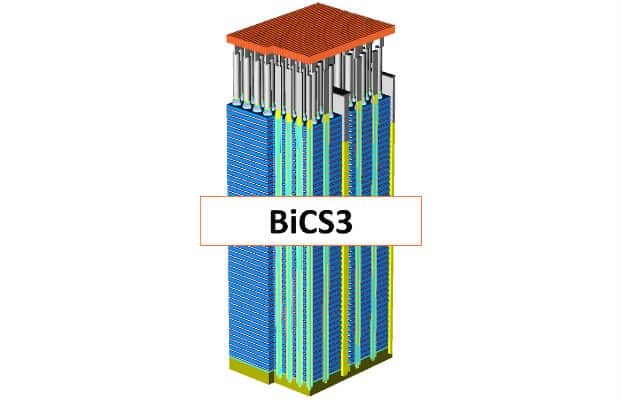 Western Digital Corp. announces that it has successfully developed its next generation 3D NAND technology, BiCS3, with 64 layers of vertical storage capability. Pilot production of the new technology has commenced in the Yokkaichi, Japan joint venture facilities and initial output is expected later this year. Western Digital expects meaningful commercial volumes of BiCS3 in the first half of calendar 2017. Western Digital Corp. has developed the world’s first 3D NAND technology with 64 layers of vertical storage. This advancement will enable the company to produce the industry’s smallest 256 gigabit chip for use in consumer, mobile, computing and data center products.